Rumour: NX's September Reveal Was Delayed Because Console's Mario Game "Wasn't Running Perfectly"
Today's the day we actually find out what NX is, but it's been a long wait. Not so long ago there were rumours that Nintendo was due to show off the console in September, but that month came and went without a sniff of a reveal. Eurogamer's Tom Phillips - the man who broke some significant NX news back in July - has taken to Twitter to give his take on the absence of any announcement in September. According to Phillips, Nintendo simply wasn't happy with the performance it was getting from the NX's Super Mario outing, and decided to wait until it was running at the desired standard. That's a fairly plausible explanation - Nintendo will want to make a good first impression with the platform's big launch title, after all - but given that NX is launching in less than six months, it makes you wonder how much time has been spent on this game's development if developers are still having technical issues at this stage. What's your take on this rumour? Let us know by posting a comment. 3D Mario at home and 2D Mario on the go? They always have to make it slick, seamless, simple and perfectly optionless. A good and a bad thing. Hoping the system is a huge success. Nintendo deserve great things. They've made me smile through some very tough times. Delaying until the game runs perfectly. Why does no one else do this? @NintyFan Not with Nintendo's alleged "we'd scrap a 95% complete game if it wasn't up to our standards of quality" policy. The only other company with that attitude is Blizzard. Well, used to be Blizzard, then the nineties ended, and Diablo 2's cavalcade of patchery happened. Guys can I explain how the industry works? You could know months in advance if a reveal is meant to be delayed. At my 9-to-5 job, we are already discussing delaying a software release that is targeted next year. They could have known for months it was not running correctly and therefore decide to delay it just to put a fix in. @MrRandomHero many studios do this, particularly Rockstar Games. Too bad Nintendo didn't delay Star Foz Zero for another decade or so. @gcunit I don't see why they wouldn't show the system off though, if that was malfunctioning, considering they animate all those "Placing Amiibo's on the Wii U gamepad" effects anyway. Honestly, the ''report'' Eurogamer came up with, I don't believe them. There has been no more detailes about the report Eurogamer came up with, and rumors have gone away from the initial reports Eurogamer came up with. So it's probably an underpowered console that Nintendo devs themselves are finding it hard to optimize and squeeze its processing power? Nah I'm kidding, I can't wait for the reveal! I can see NX coming in march for sure but I can see a few delays down the line for a few high profile games TBH. Sounds like a made-up excuse as to why his NX reveal date prediction was wrong. @WilliamCalley Geez.. I wanted to love SFZ, but that game is just way too skinny/cheap. I think @gcunit was being sarcastic or something? I agree. Though it might be possible it's true, because, well, I don't have any additional information. But to me this seems like the very definition of backpadeling. @Rin-go If he isn't trying to cover up his BS, not only does it mean that we're getting a new Mario game, but a 3D Mario game, not a "New" Super Mario Bros. game, because why the hell would NSMB have problems running? And we thought the rumours would stop now a reveal has been announced? Ha! @shaneoh the deadly duo of modern gaming. @WilliamCalley I disagree. After a long hiatus like that and how well the game actually is (despite the lack of extra content) I am very thankful for what we got and I'm glad they delayed it until the Spring of 2016. It's Nintendo. They will not release it until its perfect. I like it better than gigabytes of "first day patch", other companies standard. 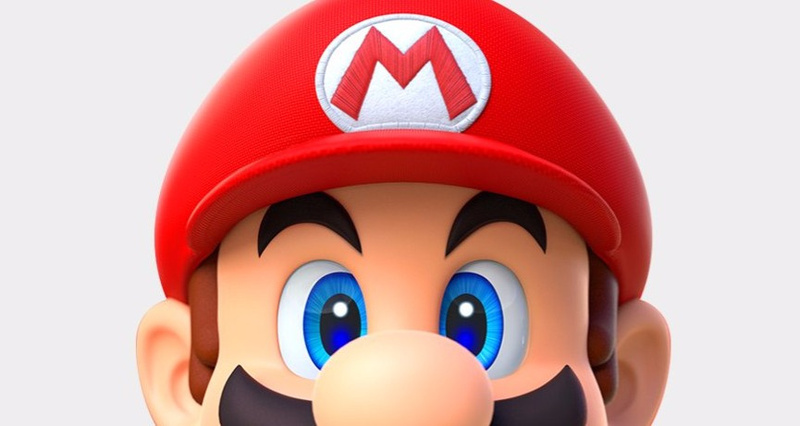 That Mario render is so detailed! So the nx couldn't handle super Mario run eh? . I said Mario was in that Tweet for a reason. I thought the early trailer would be more PowerPoint-esque, with images and bulletpoints, but if this rumour is true, there may be footage of the console in action already. @Einherjar I don't think that's the point (If this is true). They need a good line up, and so they wanted to be sure Mario would be ready for March before announcing NX, as it could be delayed otherwise. @RennanNT Well, the cynic in me has issues with the words "Nintendo" and "Good launch lineup"
Fingers crossed for an epic 3D Mario game! Lol, its a runner! Mario Run NX edition! I know 3 minutes isn't really enough to see much in the way of games, but I'm so excited about a new 3D Mario. I just hope it's not in the 3D World style, but it remains a very high possibility as I guess it's a lot easier for them to produce those kinds of games as opposed to 64/Galaxy style ones. Whatever the reason is for the NX taking this long to be revealed I am glad that the wait is nearly over, hopefully the trailer confirms the hybrid rumors because if it does end up being that then it is pretty much a day one buy assuming there are some quality titles at launch. Today is going to be so exciting, but of course I have to work! @Peach64 3mins should be enough to make more profound predictions (guesses) about its specs though. All I want to see today is, that we are not talking about mobile phone games here. That, say, the Breath of the Wild port will not be the equivalent of Xenoblades N3DS port compared to the WiiU version. The giant step back in tech really is my main gripe / concern here. I wouldn't worry about it being a step back from the Wii U in power terms. In my limited knowledge mobile technology like the nvidia shield etc are even in their most basic form more powerful then the Wii U Nintendo would have to source their components from a dumpster for it it be less powerful then the Wii U in 2016. I can't even get out of my home to send out some copies of my curriculum vitae (read: resume) for a few hours without a megaton being dropped before I can get back online and play the speculation game? So there you have it. Now what could I have in mind? "Tell us, Alex, now that Super Mario Maker for 3DS is a thing and the GBA Virtual Console isn't an issue here (as we're discussing the next Nintendo home console, hybrid or not), what pic are you inevitably gonna embed in your comment?" @Antray1984 What you are forgetting is battery life. You cant power both, the GPU, CPU, Screen, controller units and possibly wi-fi / 3g all at full power without heavy compromises. Based on the estimated hardware specs, most people say 4 hours tops, which is quite limiting in terms of "off-game usage". How is a performance tweak six months before release a big deal in 2016? How many games launch with day 1 patches required due to huge performance issues? Anyway, Mario at launch! 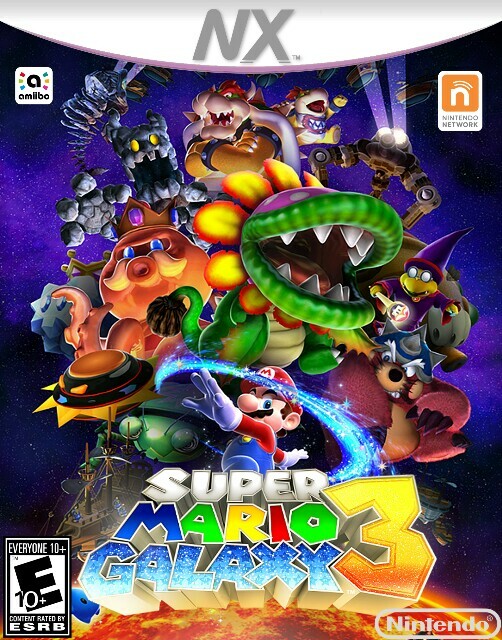 Please be of the Mario 64/Galaxy variety rather than another New Super Mario Bros game or similar. I'm sorry, but having a game that doesn't run perfectly 6 months before it has to be released is absolutely fine, I don't get why you would be worried.... Particularly a launch game that is being made on a brand new hardware architecture! You only have to look at titles like Star Wars Battlefront to see how quickly frame rate issues can be resolved. Its beta was running 45 - 60fps on console and then like 3 weeks later the full game was running at 55 - 60fps. Consider that EAD Tokyo have made faultless 60fps games apart from Mario 3D Land which was a faultless 30fps. They have 5/6 months to get the frame rate perfect on brand new hardware. i wouldn't be worried at all, it's ridiculous. All bets are off with NX. When have Nintendo rumours ever been spot on? The Wii reveal was airtight. The WiiU was such a shock we thought it was an add on. The DS details got out but it seemed nuts at the time. This time tomorrow none of us will have predicted it. Delayed showing the NX because Mario wasn't running perfectly. Read between the lines: they're showing a working build of Mario with gameplay, not just a bunch of pre-rendered cutscenes. "it makes you wonder how much time has been spent on this game's development if developers are still having technical issues at this stage"
Not really. Zelda BotW is in development for like 4-5 years, and this year there was news story about them having problem with physics. And barely anyone was wondering. So they're showing Mario? Yes! No, Nintendo even said that they only started making Breath of the Wild after the E3 reveal. That trailer was made just so that they could show something. Zelda has only been worked on for about 2 years. Okay, that means we will get another awesome 3D Mario games. We had Super Mario 64, Super Mario Sunshine, Super Mario Galaxy, Super Mario 3D Land and Super Mario 3D World. Could Super Mario NX finally running on full 360 degree camera without separated into 12 different angles ? 1 game not working is a stupid reason to delay a new hardware announcement. If today was 45 minutes and Mario was being used to show off all of the hybrid interconnection stuff, ok fine, but it's a 3 minute trailer, all we'll get is a quick look at the system. They could have done that in September to get the ball rolling w/o Mario. If they don't have enough other games to show for NX that they can't manage a 3 minute trailer w/o 1 Mario game then we are all doomed b/c it's "Nintendo Land" all over again. Too much focus on the gimmick. I imagine when he says 'perfectly' he means at 60FPS. They probably wanted to work on optimisation, especially with DF analysing the frame rates of game trailers these days! And I thought you'd love Damo's wording in this article. Just in case you've missed it. @rjejr Mario 64 was a huge part of the N64 unveiling and revealed the radical new direction that Nintendo games would take. I imagine they're hoping that the NX Mario game will do the same and help to explain the new concept. After all, the hardware is nothing without software. But remember this is also the company that gives us gimped VC releases with absolutely zero effort put into the release. But sure, whatever you say. No where in that tweet did he say it was a launch title, wishful thinking on your part, if it is, even better, but most likely they wanted to smooth out things for whatever demo they might show (if this is even true of course). And if it is indeed true, I really hope its not Galaxy 3. This makes me think it's a 3D Mario game. You would think they know how to make a 2d Mario game down by now. I knew the delay was not deliberate. I knew something was holding it back but I thought it was hardware. @NintyFan It appears to be featured in the video and it looks more like Sunshine than Galaxy. @MrRandomHero Ever heard of Valve? If that was real footage in those videos, Zelda on Switch portable looks rough in the frames per second department. Skyrim not so much. Perfectly as in "polish" or perfectly as in "problems"
They should show us an extended direct feed trailer of the new Mario then. Couldn't really tell much from that reveal video. Imperfection half a year before a game's release seems reasonable to be fair. @Rect_Pola yeah, they used to make games didn't they? The Mario footage did look like it is still early in development. Ahh, can't wait! I'm thinking that the new 3D Mario may not be a Nintendo Switch launch title, but a Holiday 2017 title. I have difficulty understanding how Mario NX not running "perfectly" is relevant to the NX reveal trailer. The footage of Skyrim they have looks to be clearly edited into the trailer, there is no real extended game play of any type. uh no... they showed like 2 seconds of footage.. this rumor is ridiculous!!!!! @Skunkfish "After all, the hardware is nothing without software." Having now seen the Switch reveal, I really don't think that 18 seconds of Mario was going to make a whole lot of difference. MK8, Splatoon, Skyrim and Zelda were what people were talking about more than Mario. I just don't think that was enough to delay a new hardware reveal 3 weeks to a month. @Toadsfriend They only deserve success if the system delivers. If not. They should fail. Capitalism 101. Nintendo does not need your charity.